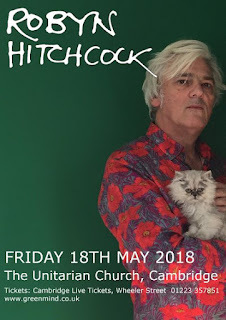 Classic British singer-songwriter Robyn Hitchcock has set dates for Australia, the eastern U.S. and the U.K.
His Australian dates are imminent with dates in Adelaide and Sydney in early December. He then has four dates along the U.S. eastern seaboard in January and early February before finishing that month in the Netherlands. 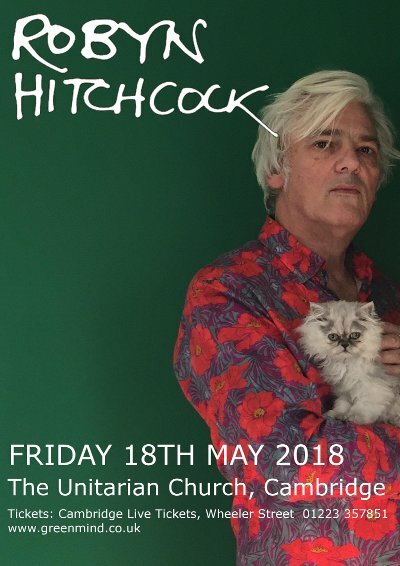 U.K. dates run throughout May. Hitchcock was originally in The Soft Boys before going solo. He now has almost two dozen studio albums to his name along with ten live sets.